Vietnam has secured two additional places in the 2017 Chess World Cup (males category) and the 2018 Women’s World Chess Championship after the Zone 3.3 qualification tournament concluded on March 5 in the Philippines. In the Open (men’s) section, Vietnam’s No. 2 player Nguyen Ngoc Truong Son (Elo 2,629) drew with Indonesia’s Megaranto Susanto in the last round to end up in second position with seven points, behind Malaysia’s Yeoh Li Tian due to auxiliaries. Both Son and Tian have qualified for the 2017 Chess World Cup as the top two finishers of the men’s section. 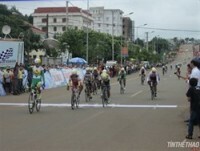 Son’s teammates Nguyen Van Huy and Nguyen Anh Khoi finished sixth and 13th overall with 5.5 and five points, respectively. 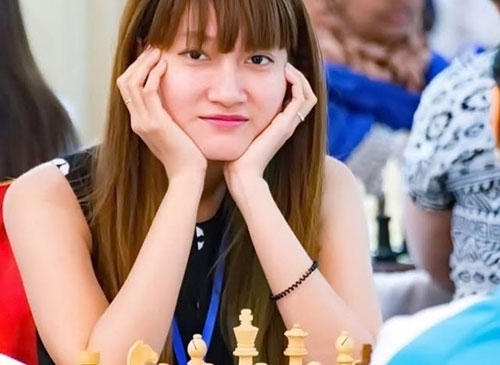 In the women’s category, Vietnamese Hoang Thi Bao Tram missed out on the only zonal ticket to the 2018 World Championship after failing to defend her reign, which lasted for two thirds of the stage until the last game of play. Tram was held to a tie by Secopito Catherine (Philippines) in Round 9, thus finishing in second place with 6.5 points, half a point below teammate Vo Thi Kim Phung, who preserved the overall top spot as well as the only berth at the 2018 World Championship following a last-round draw against Sukandar Irine Kharisma (Indonesia). Meanwhile, Vietnam’s top female player Pham Le Thao Nguyen, who made the round of 16 at the recent 2017 Women’s World Chess Championship, ended up in fourth place with 5.5 points. Vietnam’s top chess master Le Quang Liem has already secured his place at the 2017 Chess World Cup as the runner-up of the 2016 Asian Chess Championship. The 2017 Chess World Cup is slated for September 1-25 in Tbilisi, Georgia, drawing the participation of 128 qualifiers.